On this episode of the Growing with Purpose podcast, host Paul Spiegelman talks with Anisa Telwar Kaicker, CEO and Founder of Anisa International, a global leader in cosmetic brush design and manufacturing. Anisa started her company in 1992 at a time when men held most leadership positions in the cosmetics industry. In fact, Anisa International is the only female-owned brush manufacturer in the world. 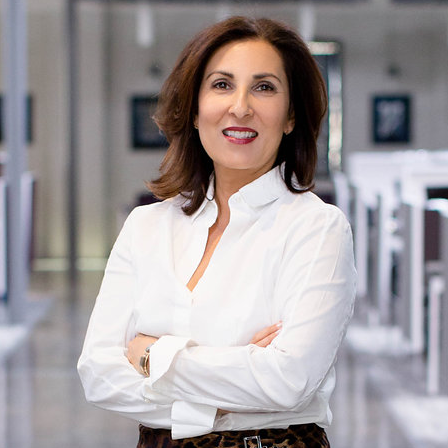 For fifteen years, Anisa worked hard to prove herself and hold her own in a male-dominated industry — and that meant taking a tough approach to leadership. But as the company took off, Anisa realized that she had built something worth growing, and she couldn't do it alone. [27:15] Will the Company Outgrow Me? Founder & CEO of Anisa International, Anisa Telwar Kaicker was exposed to business and entrepreneurship at a young age. Without a college degree or any formal business training, Anisa began honing her skills at age 17, working for her mother's import/export company. She watched as her mother built her business from nothing into a $100 million-dollar organization, and later saw her lose it all. At 25-years-old, Anisa was determined to pick up where her mother left off and in 1992, Anisa International was born. Anisa grew her brush organization into a design and production powerhouse, creating and manufacturing custom artistry tools for the biggest names in the beauty business. Holding more than 25 patented and patent-pending trademarks in addition to various industry awards, Anisa has proven to be a leader in product innovation. In 2003, Anisa launched a state-of-the-art manufacturing facility in Tianjin, China. Today, Anisa produces more than 25 million brushes a year and has offices in China, Atlanta, New York, San Francisco, Los Angeles and London. Although cosmetics brushes remain the core of her business, she has branched out to include body brushes, storage solutions, and brush cleaning and care products.